There is, however, a truth that is even more significant and instructive than that. It is not merely true that we were once Christ’s enemies, and that we were also utterly insignificant, and unworthy of his notice; but it is wonderful that he should lay down his life for such unworthy friends, even as friends, as we are. There are some professing Christians who can speak of themselves in terms of admiration; but, from my inmost heart, I loathe such speeches more and more every day that I live. Those who talk in such a boastful fashion must be constituted very differently from me. While they are congratulating themselves all upon the good things that they find within themselves, I have to lie humbly at the foot of Christ’s cross, and marvel that I am saved at all, for I know that I am saved. I have to wonder that I do not believe Christ more, and equally wonder that I am privileged to believe in him at all;—to wonder that I do not love him more, and equally to wonder that I love him at all;—to wonder that I am not holier, and equally to wonder that I have any desire to be holy at all considering what a polluted, debased, depraved nature I find still within my soul notwithstanding all that divine grace has done in me. If God were ever to allow the fountains of the great deeps of depravity to break up in the best man that lives, he would make as bad a devil as the devil himself is. I care nothing for what these boasters say concerning their own perfections; I feel sure that they do not know themselves, or they could not talk as they often do. There is tinder enough in the saint who is nearest to heaven to kindle another hell if God should but permit a spark to fall upon it. In the very best of men, there is an infernal and well-nigh infinite depth of depravity. Some Christians never seem to find this out. I almost wish that they might not do so, for it is a painful discovery for anyone to make; but it has the beneficial effect of making us cease from trusting in ourselves, and causing us to glory only in the Lord. “Sermon #2986: One Aspect of Christ’s Death” The Metropolitan Tabernacle Pulpit Sermons, vol. 52 (London: Passmore & Alabaster, 1906), 225. “The Broken Fence” The Metropolitan Tabernacle Pulpit Sermons, vol. 59 (London: Passmore & Alabaster, 1913), 558–559. 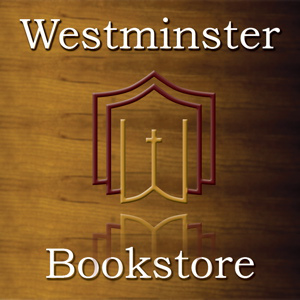 An All-Round Ministry: Addresses to Ministers and Students (Bellingham, WA: Logos Bible Software, 2009), 220–221. Those who boast of their knowledge betray their ignorance. Knowledge is not a possession to be proud of, since it brings with it so great a responsibility that a nurse might as well be proud of watching over a life in peril. Knowledge may become good or ill according to the use which is made of it. If men know God, for instance, and then glorify him as God, and are thankful, their knowledge has become the means of great blessing to them; but if they know God, and fail to glorify him, their knowledge turns to their condemnation. There is a knowledge which does not puff up the mind, but builds up the soul, being joined with holy love. Did not our Lord say, “And this is life eternal, that they might know thee the only true God, and Jesus Christ, whom thou hast sent”? But for men to know God, and not to glorify him as God, and to be unthankful, is, according to our text, no benefit to them: on the contrary, it becomes a savour of death unto them, because it leaves them without excuse. Our Saviour could plead for some, “Father, forgive them, for they know not what they do.” But what plea is to be used for those who know what they do, and yet do evil; who know what they ought to do, and do it not? These have the light, and close their eyes; or, to use another figure, they have the light, and use it to sin by. They take the golden candlestick of the sanctuary into their hands, and by its help they perform their evil deeds the more dexterously, and run in the way of wickedness the more swiftly. The Metropolitan Tabernacle Pulpit Sermons, vol. 30 (London: Passmore & Alabaster, 1884), 61. Vol. 30, Sermon No. 1,763; Titled: Knowledge, Worship, Gratitude Click here for a free PDF of this sermon. Many may be met with who know God, but never glorify him as God, because they never adore him, and worship him, with the love of their hearts. They go to church or to some place of worship regularly, and sing psalms and hymns, and they may even have family-prayer at home; but their heart has never adored the living God with living love. Their worship has a name to live, but it is dead. They present to the Lord all the external harvest of worship, but the corn is gone, only the straw and the husk are there. And what is the value of your husky prayers? your prayers without a kernel, made up of the straw of words, and the chaff of formality? What is the value of professions of loyalty from a rebel? What is the worth of professed friendship to God when your heart is at enmity against him? Is it not a mockery of God to present to him a sacrifice “where not the heart is found”? When the Lord has to say—They come as my people, and they sit as my people, and they sing as my people, but their heart is far from me,—can he take any pleasure in them? May not God thus complain of many? Oh, let it not be so with you! I know that there are some here against whom that charge would lie if we preferred it—that they know God, but they do not glorify him as God, for they do not love him. The name and service of God are much on their tongues, but they do not delight in him, they do not hunger and thirst after him, they do not find prayer and praise to be their very element, but such service as they render is merely lip-service, the unwilling homage of bond-slaves, and not the delighted service of those who are the children of God. Oh, my brethren, if we accept Jehovah as the living God, let us give him the utmost love of our souls. Will you call a man brother, and then treat him like a dog? Dare you call God your God, and then act towards him as though he were not worthy of a thought? With what joy does David cry, “I am thy servant, and the son of thine handmaid: thou hast loosed my bonds”! This is the kind of spirit with which to deal with the Lord. Oh, to rejoice in God all the day, and to make him our exceeding joy! Thus, and thus only, do we glorify him as God. Without the fire of love no incense will ever rise from the censer of praise. If we do not delight in God we do not fitly adore God. The Metropolitan Tabernacle Pulpit Sermons, vol. 30 (London: Passmore & Alabaster, 1884), 65. Vol. 30, Sermon No. 1,763; Titled: Knowledge, Worship, Gratitude Click here for a free PDF of this sermon. 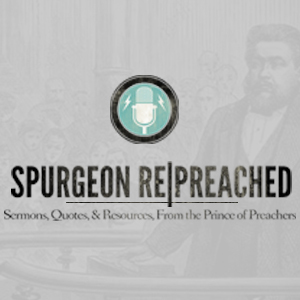 A dramatic re-preaching of Spurgeon’s Sermon 2257 from Metropolitan Tabernacle Pulpit sermons volume 39. Away with everything that is in you, or about you, and just trust Christ, and you shall immediately be saved. Whoever, in this great congregation, will but look to Jesus, shall be saved upon the spot. However great your iniquities, however stony your heart, however despairing your mind, look, look, look, look. And then, when you look to Christ, your ingratitude will be forgiven, and it will die. You will love him who has loved you, and you shall be saved, and saved for ever. A PDF of this sermon in updated language can be found here. “Well,” say some, “we have proceeded so far, what next shall we do? We know we have an interest in him, but we are still sensible of manifold deficiencies. Next then, let me entreat you to study Christ’s character. 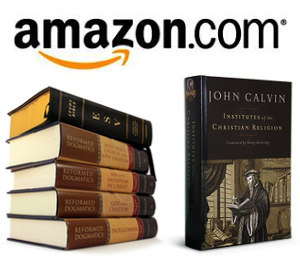 This poor Bible is become an almost obsolete book, even with some Christians. There are so many magazines, periodicals, and such like ephemeral productions, that we are in danger of neglecting to search the Scriptures. Christian, wouldst thou know thy Master? Look at him. There is a wondrous power about the character of Christ, for the more you regard it the more you will be conformed to it. I view myself in the glass, I go away, and forget what I was. I behold Christ, and I become like Christ. The New Park Street Pulpit Sermons, vol. 1 (London: Passmore & Alabaster, 1855), 164. Vol. 1, Sermon No. 20; Titled: Christ’s People – Imitators of Him; Delivered on Sabbath. Click here for a free PDF of this sermon. ‘Christ died for the ungodly.’—Romans 5:6. BEHOLD! what a change divine grace will work in a man, and in how short a time! That same Peter, who so lately followed his Master afar off, and with oaths and curses denied that he knew his name, is now to be found side by side with the loving John, boldly declaring that there is salvation in none other name save that of Jesus Christ, and preaching the resurrection of the dead, through the sacrifice of his dying Lord. The Scribes and Pharisees soon discover the reason of his boldness. Rightly did they guess that it rested not in his learning or his talents, for neither Peter nor John had been educated; they had been trained as fishermen; their education was a knowledge of the sea—of the fisherman’s craft: none other had they; their boldness could not therefore spring from the self-sufficiency of knowledge, but from the Spirit of the living God. Nor did they acquire their courage from their station; for rank will confer a sort of dignity upon a man, and make him speak with a feigned authority even when he has no talent or genius; but these men were, as it says in the original text, “ιδιωται” private men, who stood in no official capacity; men without rank or station. When they saw the boldness of Peter and John, and perceived that they were unlearned and private individuals, they marvelled, and they came to a right conclusion as to the source of their power—they had been dwelling with Jesus. Their conversation with the Prince of light and glory, backed up, as they might also have known, by the influence of the Holy Spirit, without which even that eminently holy example would have been in vain, had made them bold for their Master’s cause. Oh! my brethren, it were well if this commendation, so forced from the lips of enemies, could also be compelled by our own example. If we could live like Peter and John; if our lives were “living epistles of God, known and read of all men;” if, whenever we were seen, men would take knowledge of us, that we had been with Jesus, it would be a happy thing for this world, and a blessed thing for us. It is concerning that I am to speak to you this morning; and as God gives me grace, I will endeavour to stir up your minds by way of remembrance, and urge you so to imitate Jesus Christ, our heavenly pattern, that men may perceive that you are disciples of the holy Son of God. The New Park Street Pulpit Sermons, vol. 1 (London: Passmore & Alabaster, 1855), 157. Vol. 1, Sermon No. 20; Titled: Christ’s People – Imitators of Him; Delivered on Sabbath Morning, April 29th, 1855. Charles Spurgeon – Why Your Present Condition? Remember this, had any other condition been better for you than the one in which you are, God would have put you there. You are put by him in the most suitable place, and if you had had the picking of your lot half-an-hour afterwards, you would have come back and said, “Lord, choose for me, for I have not chosen the best after all.” You have heard, perhaps, the old fable in Aesop, of the men that complained to Jupiter, of their burdens, and the god in anger bade them every one get rid of his burden, and take the one he would like best. They all came and proposed to do so. There was a man who had a lame leg, and he thought he could do better if he had a blind eye; the man who had a blind eye thought he could do better if he had to bear poverty and not blindness, while the man who was poor thought poverty the worst of ills; he would not mind taking the sickness of the rich man if he could but have his riches. So they all made a change. But the fable saith that within an hour they were all back again, asking that they might have their own burdens, they found the original burden so much lighter than the one that was taken by their own selection. So would you find it. Then be content; you cannot better your lot. Take up your cross; you could not have a better trial than you have got; it is the best for you; it sifts you the most; it will do you the most good, and prove the most effective means of making you perfect in every good word and work to the glory of God. The New Park Street Pulpit Sermons, vol. 6 (London: Passmore & Alabaster, 1860), 274–275. Vol. 6, Sermon No. 320; Titled: Contentment; Delivered on Sabbath Evening, March 25th, 1860.